The Pulteney Distillery is a malt whisky production and aging facility in the Pulteneytown area of Wick, Caithness, in the Highland area of Scotland. The distillery produces the Old Pulteney single-malt whisky at a number of ages and has a visitor centre in Huddart Street. The distillery was established in 1826 in the name of Sir William Pulteney (who died in 1805), and for whom Pulteneytown is named. The distillery is the most northerly on the Scottish mainland and was quite inaccessible, except by sea, when established. Barley was brought in by sea, and the whisky was shipped out the same way. Many of the distillery workers were also employed as fishermen. The herring fishing industry is no longer part of daily life in Wick but the distillery continues to operate, producing a Highland single-malt with a reputation as one of the finest available. 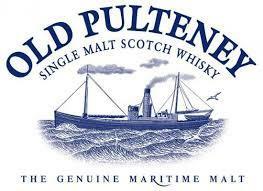 Characteristics of the whisky are attributed to exposure to sea air during maturation. The Old Pulteney site uses water from an old mill lade, constructed by Thomas Telford. This stream flows out of Loch Hempriggs, 3 or 4 kilometres (2 miles) to the south/southwest, and is reputed to have powered a barley mill at or near the site of the distillery. The Old Pulteney 21-year-old single malt whisky secured the top award and was named "World Whisky of the Year" in Jim Murray's 2012 Whisky Bible. Runners-up were American bourbons George T. Stagg and Parker's Heritage Collection Wheated Mash Bill. In 2006 the 12-year-old malt was declared the best in its class with a gold award at the International Wine and Spirit Competition. "Rich flavors of peat and heather are followed by smooth oak flavors in the mouth. The finish is long and lingering."